"So you're like the girl who didn't want to be found..." My cousin suggested as she listened to one of my ramblings about a recent incident. "Oh yea... yea I guess I am!" I laughed at her statement that seemed to perfectly hit the nail on describing who I was. You've probably heard countless stories of how people would leave clues behind....photos, hints, a map that led to hidden treasures. How without these clues... well it's safe to say that without them the treasure would never be found. If someone entrusted me with a mission to make sure to leave behind clues, anything that would help someone get closer to finding something.... I would totally fail. Let's begin by stating that I'm a note hoarder. No seriously I am. I have like five packs of sticky post-its (the neon squared ones) in my purse and then backups in my drawer. Oh and that doesn't include the sealed up one for when I run out. Then let's not forget about the countless journals, and scraps of paper that randomly float around to the bottom of my tote bag. The reason for it is because I'm always listening, looking, and observing like everything. And so by the end of the day my brain is somewhat like Dory in which I forget things in an instant if I don't quickly jot it down. So the solution is to always have some sort of notepad and pen on me. I'm the girl that will be watching a movie or hearing a song, and some beautiful quote or scene will speak to me... and then you better believe I'm typing it in my phone if I can't find a piece of paper. So it brings me to the incident which I was telling my cousin about. I was at work one day and had a note in my hand and when I came back to my room, I realized I had dropped it on the way. My mind flashed to some random child or teacher picking it up and thinking what a weirdo this person must be for these scribbles of thoughts. Or even worse.... that MY name was written on that torn paper and then I'd be revealed. They'd then parade with it down the hall until the whole school would know I was some sort of freak. OH THE AGONY. So you guessed it, I retraced my steps to search for my little prodigal scrap of paper. And low and behold, there it was in the middle of the hallway, a note no bigger than my hand and blending into the shiny white floors. I quickly picked it up and read the tiny, written too fast font on the ripped out piece of lined paper. My heart sank and I felt a relief and sense of guilt at the same time. On the piece of paper was a bible verse that I didn't want to forget. Nothing more, nothing less. How silly was I to run back after that note as if it contained my deepest darkest secret? I often feel like sometimes many of us hide what we treasure most, for fear that someone will point their sticky fingers and laugh at us. We're careful not to leave behind any traces of ourselves or what we love for fear of rejection, humiliation. So in a way it's sort of like we're saying we don't exist. Because the truth is without a voice, our voice... we don't exist. And that should make us all a little sad. Well actually it should break our hearts. Because it sure breaks God's heart. It's like God leaves us our own personalized map, with trails and different treasures to uncover along the way. The treasures are our talents, quirks, and interests that ultimately lead us to where we're supposed to be. So what I'm saying is if we don't share the things that make us want to swirl around until we're dizzy from laughing so hard, the things that make us feel alive... how will we ever know what amazing things we're capable of? If you and I don't come alive... how will we help others come alive? And so don't be like the girl who didn't want to be found. The world needs your treasures, the ones you hold so deeply and make you come alive... because your treasures help the world come alive. Don't be afraid to share your heart, what you love, why you love it. You were not a mistake and neither was your unique mind. It amazes me that something as simple and delicate as snow can cause everyone and everything to just stop. Millions of these little ice crystals trickle down their own path slowly... and yet not one of them is alike. I once caught one on my glove and it actually had the shape of a hand drawn snowflake. It really looks like a snowflake!! I squealed with excitement. I guess part of me always thought our imaginations made up the shape... but they really are detailed! I got all bundled up to help with shoveling the snow outside today. Leggings, extra thick socks that wouldn't fit into my rain boots, gloves, blanket-huge scarf and my Eskimo looking parka coat. I look at the beautiful snowflakes piling up... so delicate and yet can also cause so much havoc. Shovel in hand, my mind starts to doze off and wonder... and then I'm brought back with a gust of wind, spraying cold little ice petals onto my face. Ten minutes in the cold and my fingers already start to go numb with occasional shocks of heat... and then throbbing pain. How frail are our bodies? People feel small when standing next to the ocean, which of course I do too. It's so majestic and big compared to our tiny selves. But I'm humbled when standing outside as the snow falls and dances slowly all around me. These little snowflakes, as small as they may be show the grandiosity of their Creator. That even in the smallest particle... His power and beauty is always eminent. I was sitting down with my cousin and sister a few nights ago during our new weekly bible study. We gathered together, books, pens, coffee mugs, notebooks sprawled onto the floor... but we didn't know where to start. So we decided on Matthew in the New Testament. It was going pretty well, we were going back and forth on various verses, talking about how it applied in our lives. We understood and had read multiple times the part that Jesus says to love your neighbors and pray for others. I mean I understand Jesus never wants us to do bad to those that hate us or anyone in general... but to bless them too? Wouldn't it just be okay if we avoided them altogether? That would make life so much easier and less complicated. So we kept reading on. Ouch. I felt as if I just got stabbed in the heart. If I do only choose to love the people that love me too... how does that make me any different than someone who only loves people exactly like themselves? It doesn't! It makes me exactly the same. Truth is loving someone that loves who you are, what you say, how you act, your choice of music, TV show, and opinions is easy. What's hard? It's loving a person that maybe doesn't show you love back. A person that you can easily get into arguments with, disagreements, or maybe isn't even approachable. I struggle with this. And it made me feel sad and guilty, because I realize that many times I'm not lovable at all... but Jesus never stops loving me. Love people that are hard to love. I don't want to go through life knowing I could have shown love to someone but chose not to because they simply weren't open to my offering of it. I don't want the circumstances to change what I would otherwise do or say to someone that would gladly show me love and acceptance back. I hope to always choose love and to never forget that everyone deserves it, whether they show it or not. In the hopes that someday, they too will come to know all of the beautiful things that love is. Pasta, Pasta, Pasta. Is there anyone who doesn't love pasta?! I grew up on pasta so sometimes for me it can become a bit, dare I say boring ... but that's precisely why I love trying new pasta recipes! Put the potatoes, in their skin, in a large pot of salted, cold water. Bring to the boil over high heat and cook for 40-50 minutes or until cooked through. Drain well, then peel the potatoes, using a pairing knife if necessary as they will be very hot. Pass the potatoes through a ricer (or use a potato masher), and allow to cool for 5-10 minutes. Add the egg yolk and a small pinch of salt. Start adding the flour, a little a the time. Depending on your potatoes and the type of flour you use, you may need to use a little more or a little less than indicated. You want a soft dough, that is pliable and not tacky. I normally end up using 3/4 and use the rest for dusting while I’m shaping the gnocchi. Don’t be tempted to add to much flour though, or your gnocchi will be heavy. Cut the dough into 4-5 pieces, roll them out onto a surface dusted with flour and shape them into logs. Cut each log into 2-3 cm pieces. You can leave them as that or roll them onto the tines of a floured fork, gently but like you mean it. 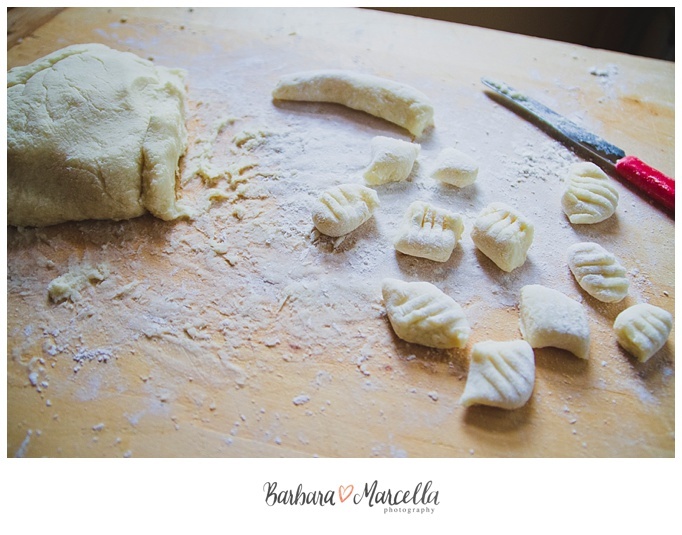 As the gnocchi curl into the fork, the tine pattern will be embossed onto to them. Later, when coated in sauce, those very ridges will trap it in, for the joy of your palate. 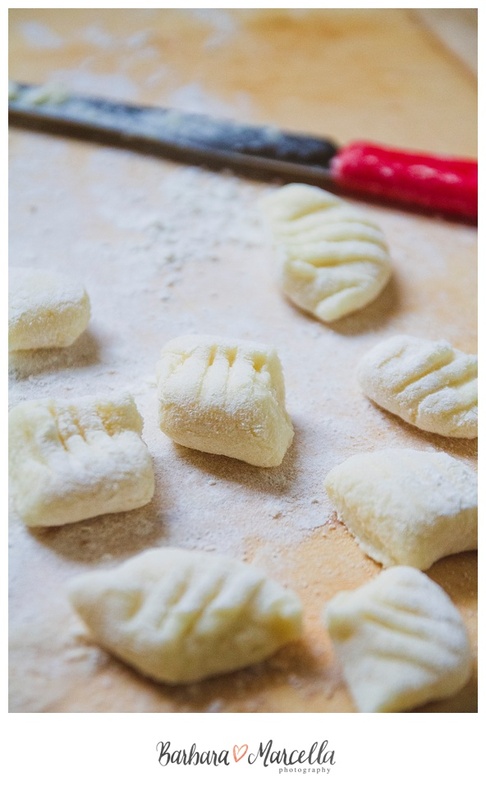 Once you have rolled all your gnocchi, dust them with flour and set aside. 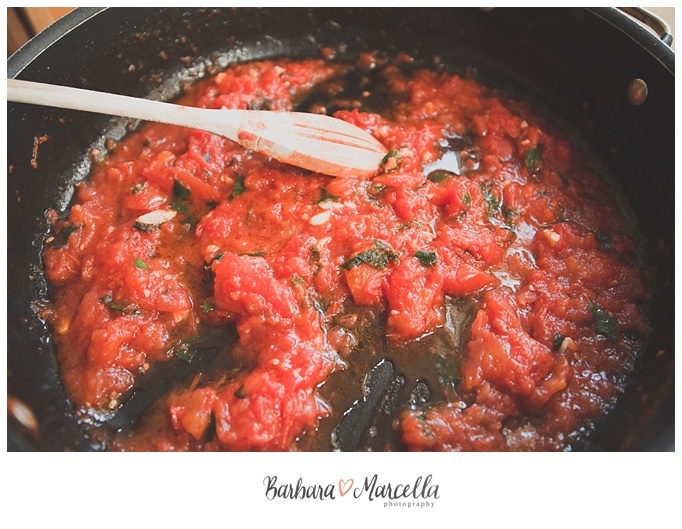 To make the sauce, heat up the oil in a large frying pan, quickly sauté the garlic and parsley stalks for 1-2 minutes. Pour in the wine and cook over high heat for 1-2 minutes or until the alcohol has evaporated. Add the crushed tomatoes, a pinch of salt and cook, bring to a simmer and then turn the heat to medium low and cook for 15-20 minutes. 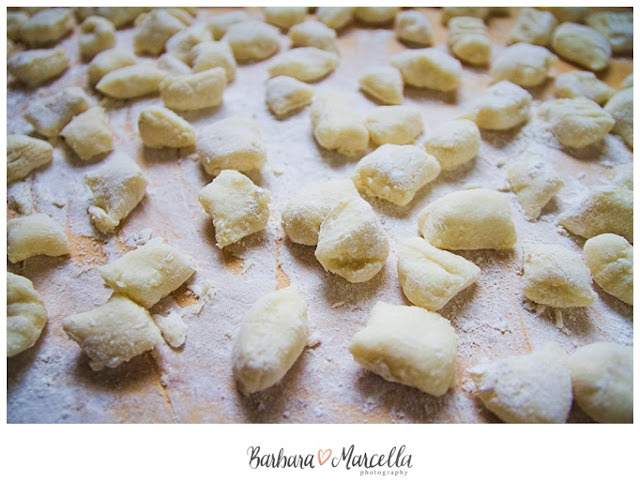 Boil your gnocchi in batches. As they are cooked, they will float to the surface. Fish them out with a slotted spoon and drop them straight into the tomato sauce pot. 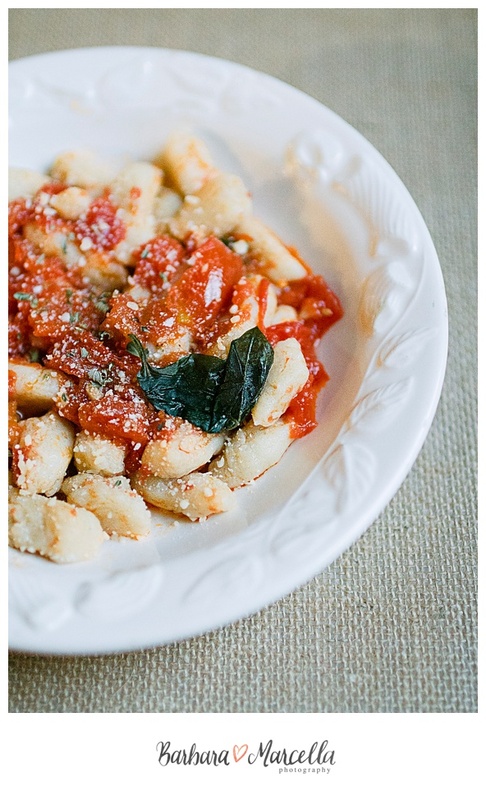 Repeat until all your gnocchi are cooked. Saute’ the gnocchi in the sauce for 1 minute to allow the flavor to mingle. Dust with parmigiano, top with a few parsley leaves and serve hot. I was clicking through the buttons of my radio on the ride to work the other morning and stumbled upon the song Worth It by Fifth Harmony. I'd heard this song before, and it's honestly quite catchy, and being a girl who likes to dance I don't mind the beat to it either. But this time I decided to really listen to the lyrics, and it sort of put me on a thinking wheel. Here's this song that's trying to tell girls that basically you're worth it, but what exactly are you worth? Worth loving? Worth getting to know? Or is it that you're worth sleeping around with a few times until the thrill of it all is lost? We live in a world where it seems all respect for our bodies and souls has been totally crushed and burned. 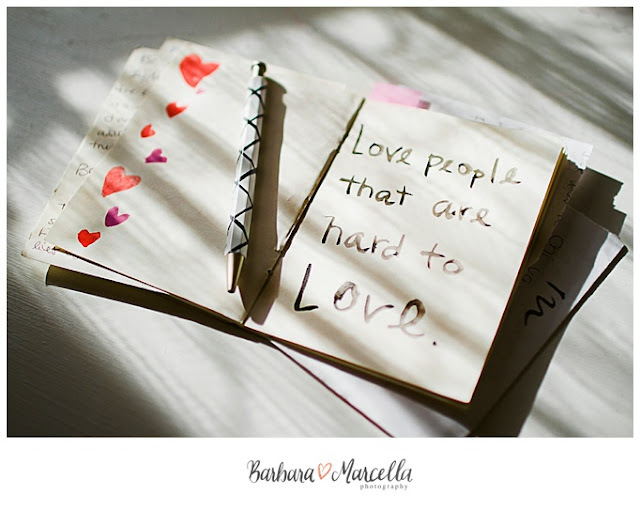 We're fed this way of thinking through celebrities and their ongoing love triangles, people's obsessions of "relationship goals", magazines telling girls how to "please your man",... and well practically everything else you can think of. I hear it, read it, and see it all the time. The broken hearts of girls thinking they weren't good enough after they gave all of themselves to that guy. The comparisons, the being made fun of. The "But we love each other so what's so wrong with doing it?" or "I'm scared I'll lose him if I don't". And honestly it breaks my heart and makes me sick to the stomach. But I'm here to tell you that you ARE worth it. But you need to wait. Yes, as in you need to wait for that one special guy that will think the absolute world of you, and will choose to wait until he makes his vows to you and makes you his forever. Why? Because you are worth waiting for. Wait whaaaaat? I know it's hard. We all struggle with it at one point or another... but if it wasn't hard then it wouldn't really be all that worth waiting for right? Jesus gave us this beautiful gift that was meant to be shared between a husband and wife... and here we are corrupting it for our own pleasure and made it meaningless. But God never wanted that for me, for you. Don't think that God is out to steal all of your fun. Because He isn't, He loves you so much that He wants the crazy, beautiful, the oh my goodness that's amazing kind of life for you. And to experience something in it's absolute beauty... sometimes we need to wait. I've heard that having the choice to sleep around makes women feel like they are powerful and in control. And I'm here telling you that it's a lie and it makes you a slave to that type of thinking. 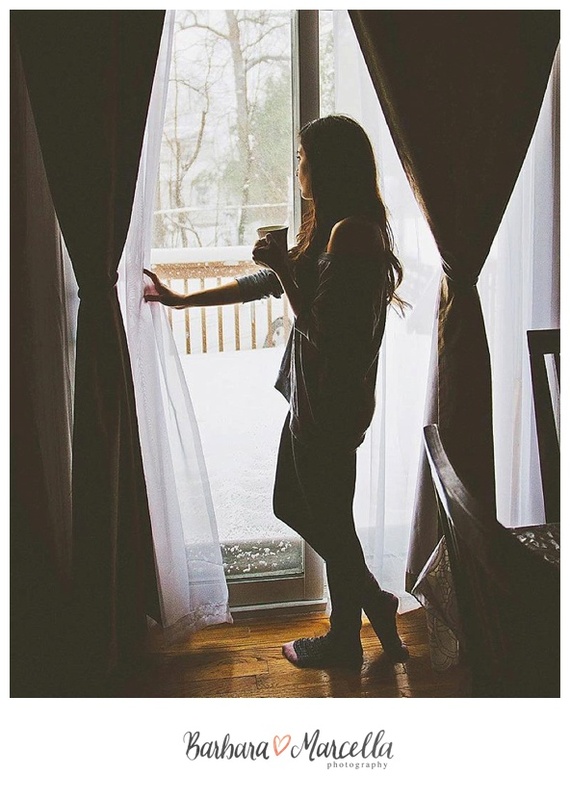 Because in reality there is no such thing as casual intimacy. At some point you will realize that it left a hole in you somewhere. You can try to cover it up with other desires... but the hurt left its bruise. Everyone makes mistakes, God knows that. We're human that's why there is forgiveness. But we need to realize our hurt and then promise ourselves that we are worth way more than lust and we walk away and change. Girls, no matter what the world tells you about good guys not existing... it's simply not true. There are wonderful guys out there I know that for a fact. Instead of giving into that... pray that God brings that special guy in your life. It's one of His promises. Don't give in to what the world tries to make of you. You are worth waiting for.... and God never breaks His promises.